Introducing the most innovative and versatile vertical balers in the industry: The REI REBEL Series Vertical Balers. 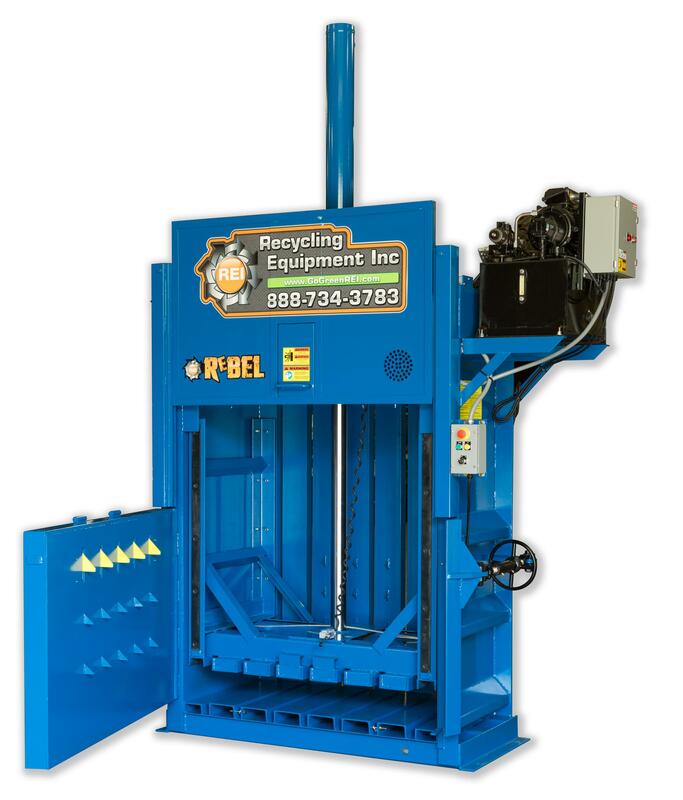 REI Vertical Balers are engineered with heavy steel throughout and fixture welded components. All REI Vertical Balers produce high-density bales of a wide variety of materials in a single baler. Our flagship model VB-605-60-10 produces a mill standard 60” long bale, features a 60” stroke cylinder, 60,000 lbs. of force. ALL MODELS MEET ANSI Z-245.5 BALER SAFETY STANDARDS – ALL MODELS ELECTRICAL COMPONENTS ARE UL, ETL AND CE APPROVED and Feature the most aggressive vertical baler warranty in the industry.